Responsible disposal that ensures all junk is managed accordingly and recycled in the best, most efficient manner. Junk Boys takes all metal for re-cycling. We will ensure that when removing your scrap metal junk, that any reusable metals are salvaged and recycled accordingly. Call us at 416-655-8260 or Book Online. Any removals that are deemed usable or can benefit those who are seeking alternate means of providing necessities are taken to the Salvation Army stores, Value Village, or any charity of the client’s choice. This is a big part of the philosophy behind The Junk Boys as we want to ensure that we do not create unnecessary waste and where there is an opportunity to help those in need, we can do our part. There have been times when the client would like to give certain items to friends or relatives. We have always accommodated. Call us at 416-655-8260 or Book Online. 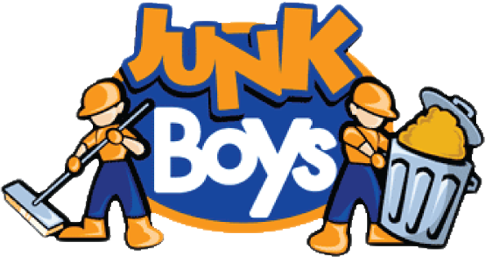 When it comes to hazardous waste disposal, The Junk Boys will ensure that the proper measures are taken to dispose of hazardous materials. Taking the necessary precautions for handling these materials can avoid contaminating landfills, harm to a person and destroying our natural environment. We can ensure that it is handled properly. Call us at 416-655-8260 or Book Online.